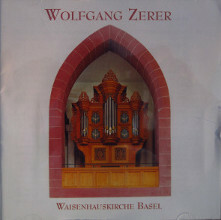 Master organist Wolfgang Zerer has recorded a CD on the organ of the Waisenhauskirche in Basel, the proceeds of which are benefitting our project. He has composed an suitable program with baroque music that excellently showcases the rich pallet of colors of this interesting instrument. It is a replica of the organ that Arp Schnitger built in 1694 for the Hamburger Waisenhaus (at the Rödingsmarkt). This organ was transferred to Grasberg, near Bremen, by Georg Wilhelmy from Stade in 1788 and altered. It still present in Grasberg today. The replica, built by by Bernhardt Edskes Orgelbau in 1994, is based on the state of the organ when it was still in Hamburg. The CD received various favourable reviews in the music press. 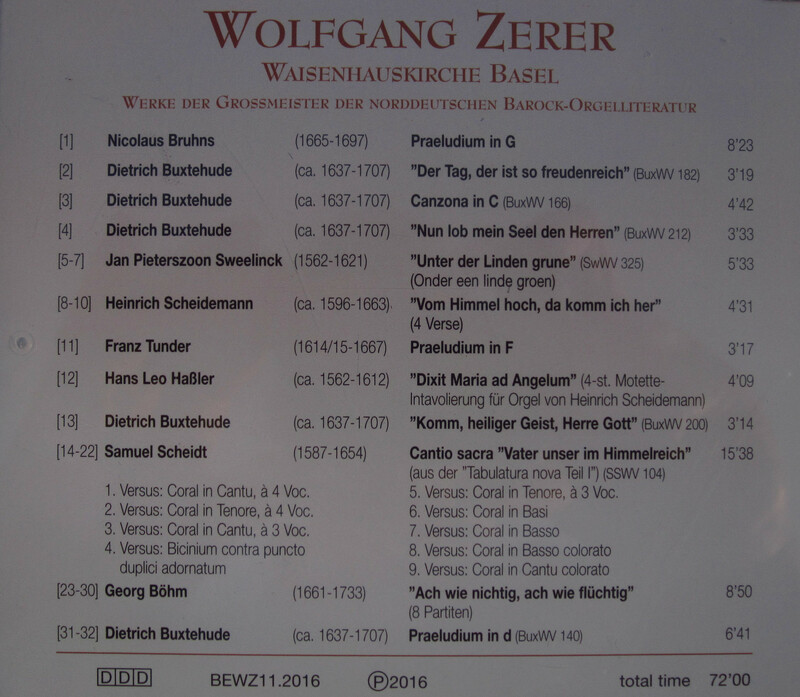 Click on the photo of the CD cover for an overview of the works that are played. The price of the CD is EUR 15, postage not included. Victor Timmer wrote an interesting book about the new and former Schnitger-organ of the Lutheran Church. 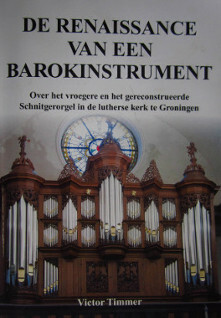 It is currently only available in dutch and is titled 'De Renaissance van een Barokinstrument'. It contains 116 pages on a5 format and includes pieces of facsimile and many photos. It was presented during the inauguration of the organ on october 31, 2017. It also contains a chapter by organ builder Bernhardt Edskes with many details of the reconstruction and choices that were made. Furthermore it contains interesting tidbits from archival sources on the musical practices in the church through the ages. The book is sold for EUR 20 (not including postage). 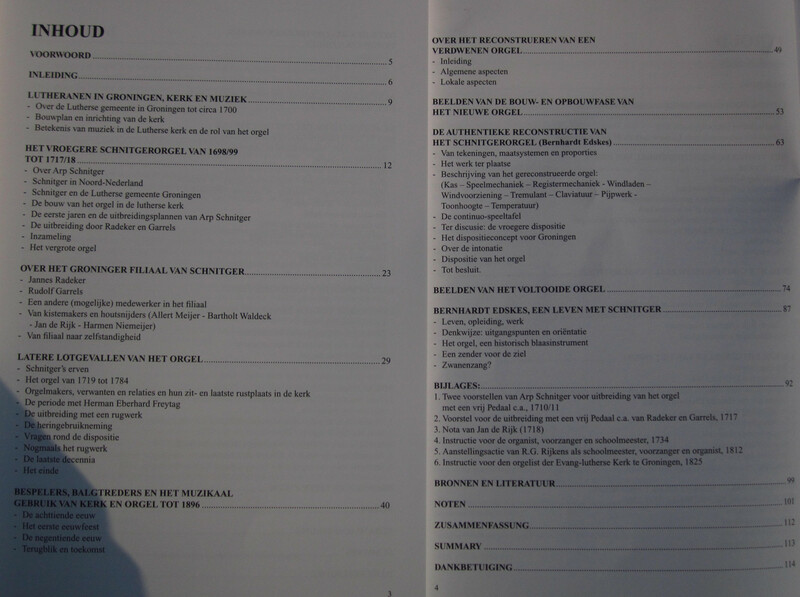 Click on the photo of the book cover for the table of contents. 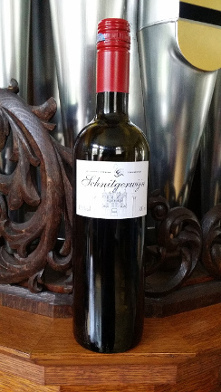 You can also support our project by drinking specially selected and aptly named Schnitger-wine. It concerns the l'Arjolle Côtes de Thongue, available in both red and white. The red Arjolle contains a mixture of cabernet sauvignon and cabernet franc grapes with some merlot. It has a very accessible flavor and an enjoyable 'ease' of drinking. It is very suitable for everyday use, as an aperitif but also as an accompanying wine for a nice dish. It makes an orginal present for an organ-loving wine afficionado or a wine-loving organist. 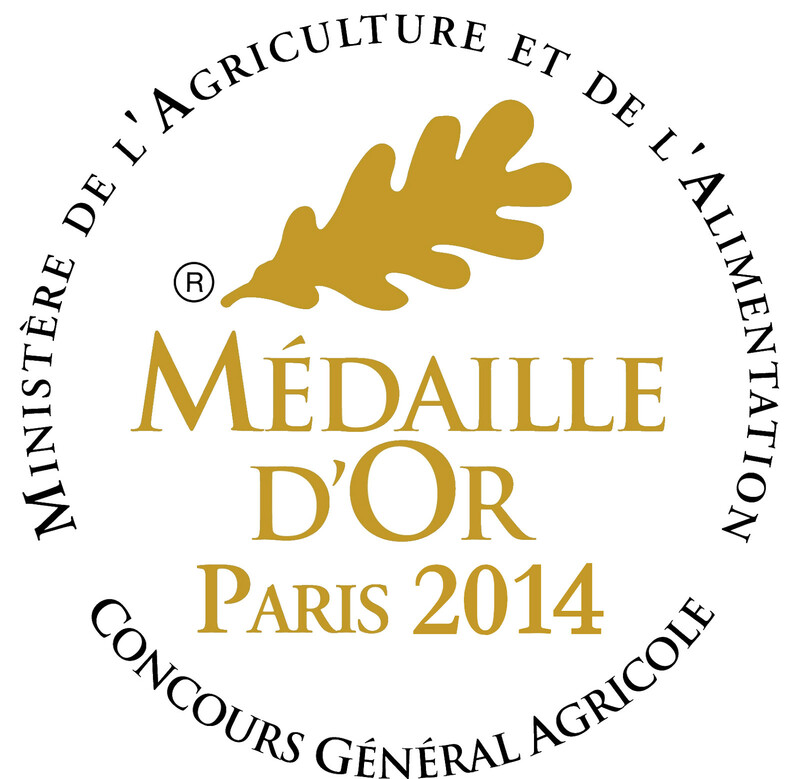 The wine received various recommendations and prizes, among which a Medaille d' Or at the Concours Général Agricole in Parijs. Have you never tasted them yet? Order and enjoy while supporting our project at the same time. We can offer these wines for EUR 108,= per box (12 bottles), excluding postage. The entire proceeds go towards the organ project! 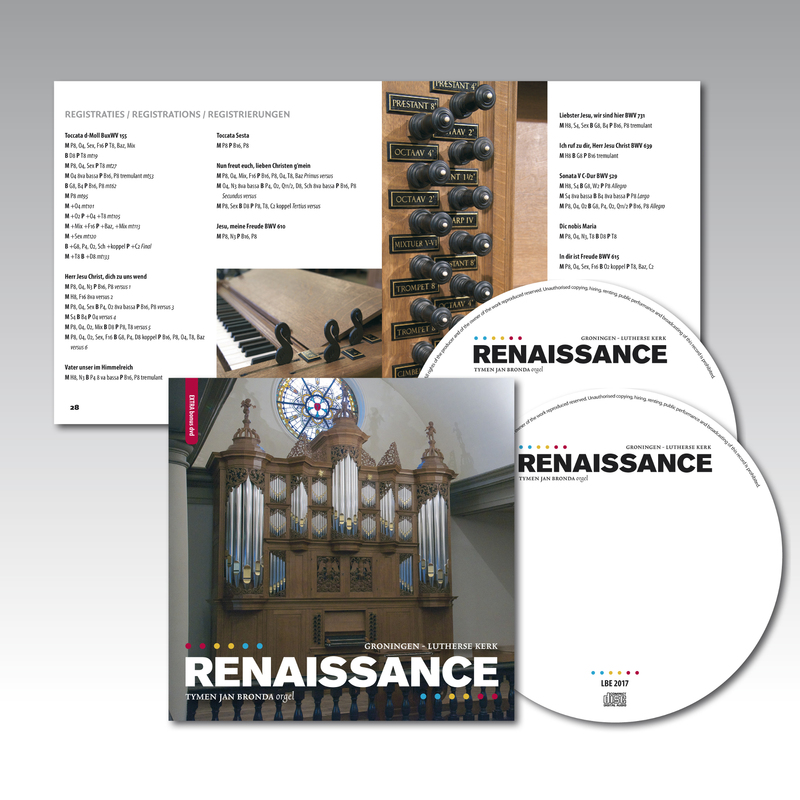 The first CD titled 'Renaissance' by organist Tymen Jan on the reconstructed Schnitger-organ is now available! 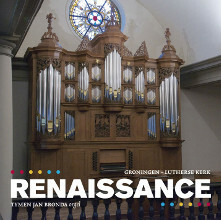 The instrument is showcased in all of its splendid colors in work by Frescobaldi (Toccata VI), Scheidemann (Motetkolorierungen), Weckmann, Böhm ('Vater unser', 'Herr Jesu Christ dich zu uns wend'), Buxtehude (Toccata in d), and of course the great J.S. Bach (Toccata F dur, Triosonate V and various chorale preludes). Click on the photo of the CD cover for track and registration details. The CD also contains a bonus DVD including interviews with Ton Koopman, Bach's 'In dir ist Freude' and the motet 'Singet dem Herrn' recorded live at the inaugural concert on October 31, 2017. We offer this CD for EUR 15, excluding postage.